Everyone is entitled to an opinion. A close-minded individual can, of course, voice their opinions and be respected for it. The problem with this is that these certain individuals expect respect when they have never shown any. “Treat people the way you want to be treated” is a phrase not everybody understands. Phrases like these are not meant to sit on the surface. Phrases like these are supposed to make you think or make you become a better person. Kids our age tend to look at phrases and ideas like these and think about that time this one person was not very nice to them. For them, it is time to hold a grudge and be petty for the rest of there lives. No, that is not what it means. Treating people the way you want to be treated is more than just the way you talk to people. It is about giving second chances, offering forgiveness, and earning respect. Respect. It is not just smiling and nodding and then rolling your eyes when you turn away. Respect is understanding, thoughtful, and rewarding. At Huntley, respect is not shown as much in the student body. 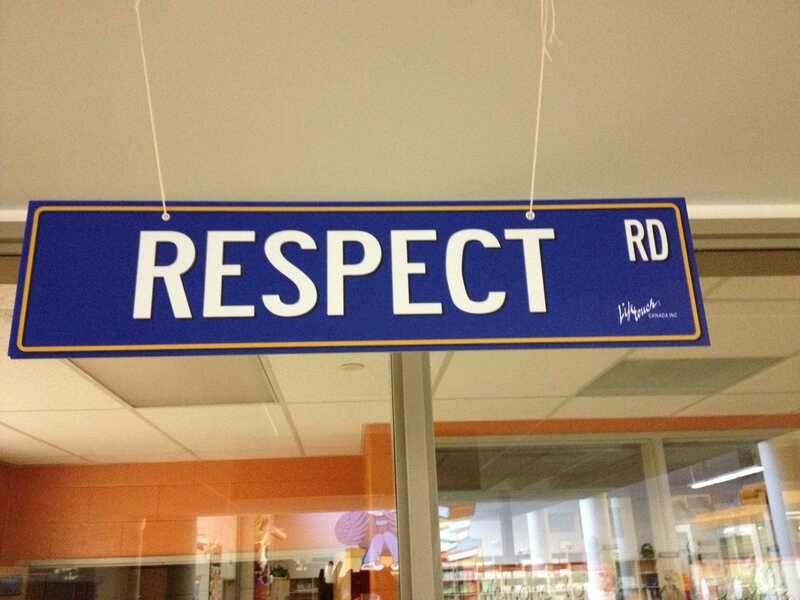 As students, we need to learn how to show respect to teachers, faculty, and other students. Showing respect would solve so many problems. “It doesn’t make you cool to disrespect your peers or the people that teach you,” sophomore Rachel Schiltz said.